Preheat oven to 350°, with rack in the center. 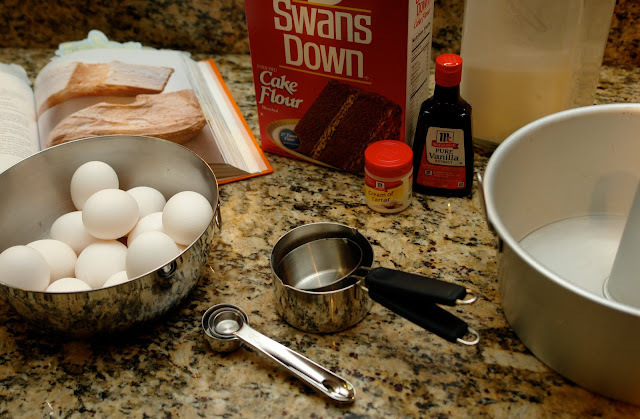 Into a medium bowl, sift together flour and 3/4 cup sugar four times; set aside. 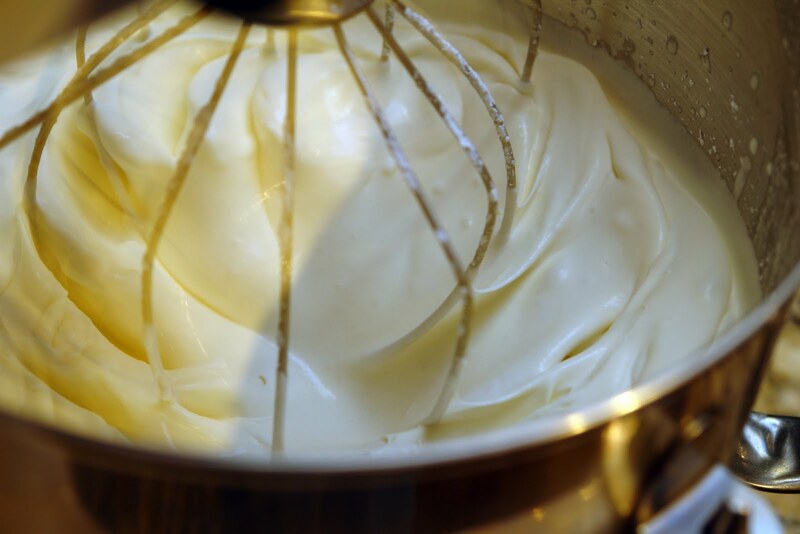 In the bowl of an electric mixer fitted with the whisk attachment, beat egg whites and the warm water on low speed until foamy. 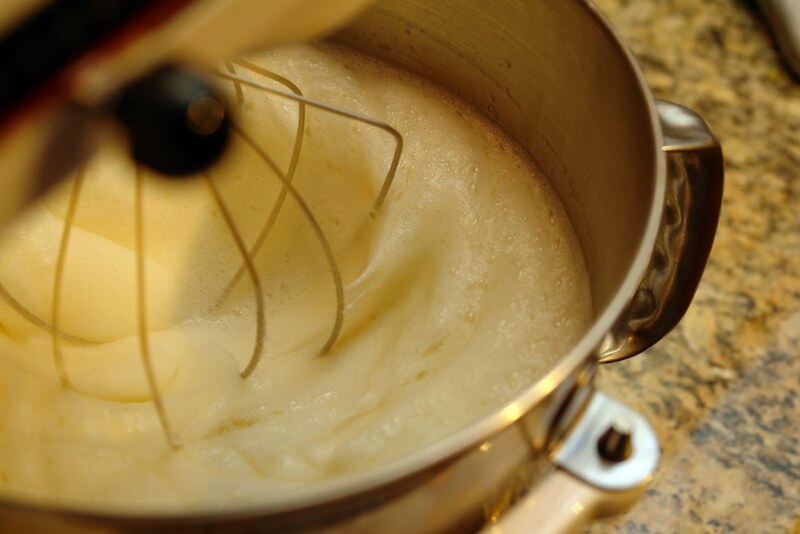 Add salt, cream of tartar and vanilla; beat on medium-high speed until soft peaks form, about 3 minutes. 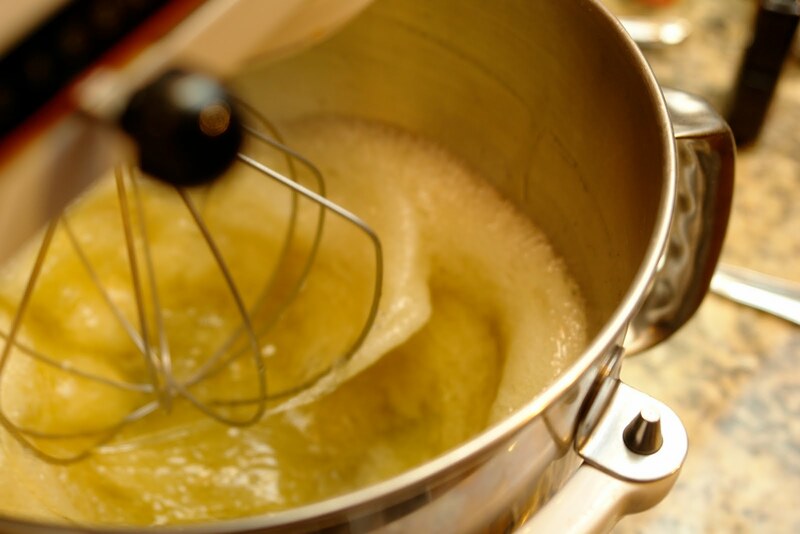 While beating, gradually add the remaining 3/4 cup sugar, 1 tablespoon at a time. Beat on high speed until peaks are stiff and glossy but not dry, about 2 minutes (do not overmix). Transfer mixture to a large bowl. Sift flour mixture over egg-white mixture in six parts, quickly but gently folding it in with a rubber spatula after each addition. Gently transfer batter to an ungreased 10-inch tube pan. 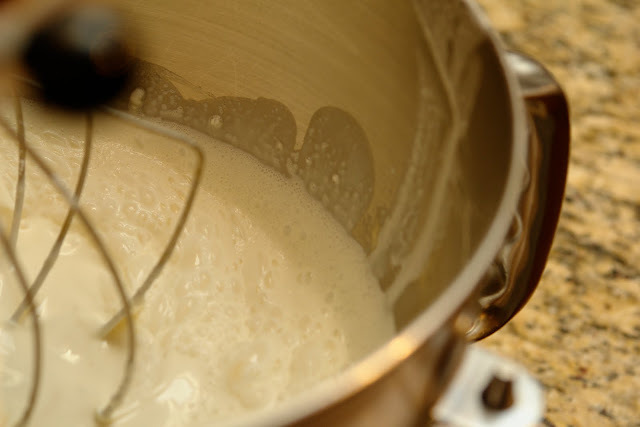 Run a knife through the batter to release any air bubbles, and smooth with a small offset spatula. 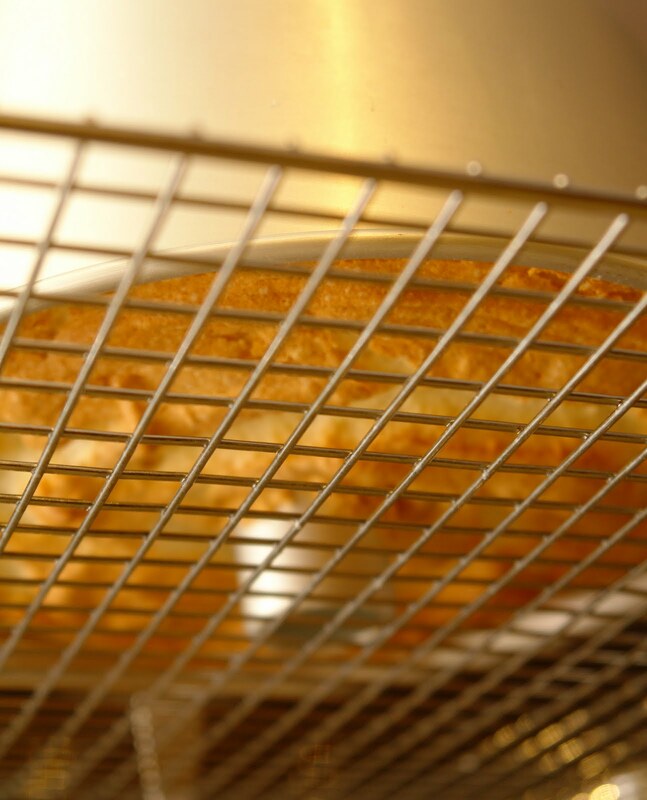 Bake until cake is golden brown and springs back when touched, 30 to 40 minutes. Invert pan onto its legs and let cool completely, about one hour. 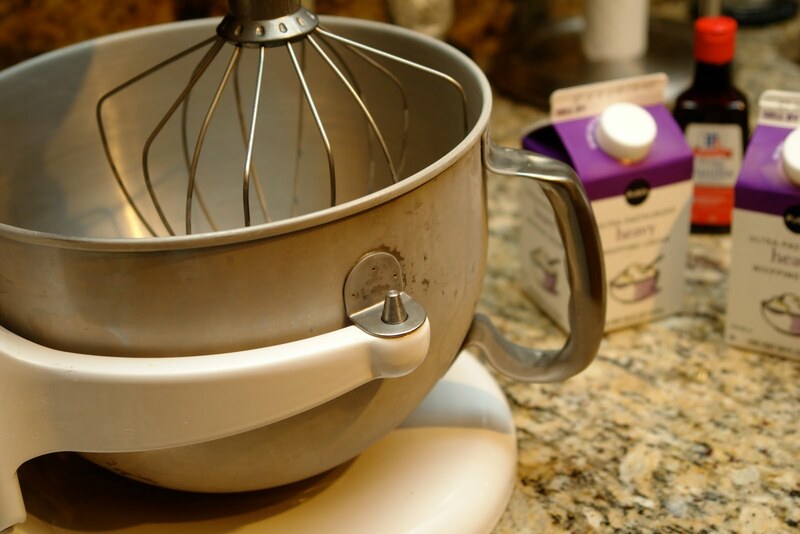 Carefully run a large offset spatula around the sides of the cake to loosen, then invert onto a wire rack. Cake can be kept in an airtight container at room temperature for up to 4 days. 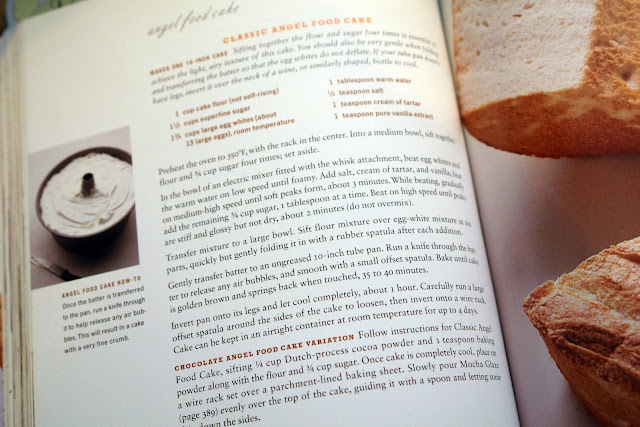 I had a major issue with this recipe and all cookbooks, really. First lets start at the top. See that ingredient up there? Second one down—superfine sugar. Ever heard of it? Me either. Think it would be hard to find? I had no idea. Thank goodness for google to give me the down low on superfine sugar. 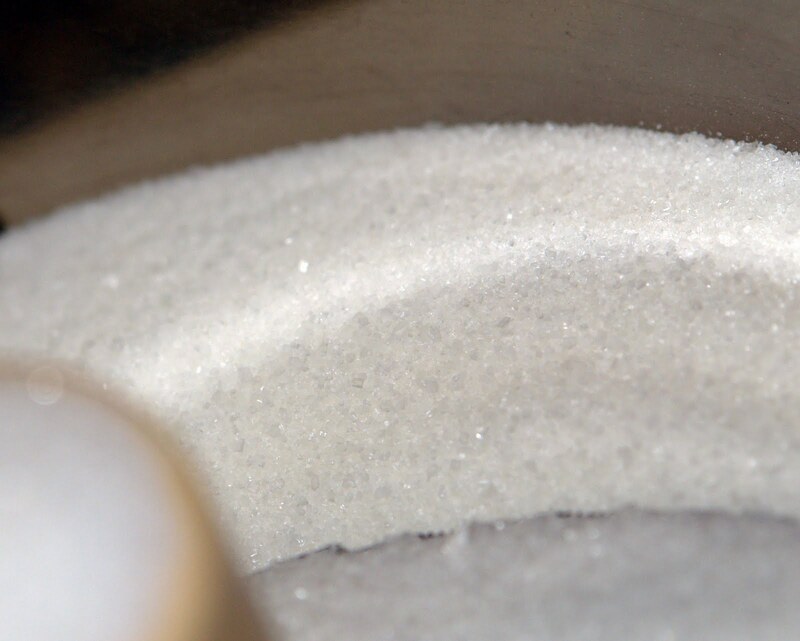 Superfine sugar is a super fine granulated sugar. 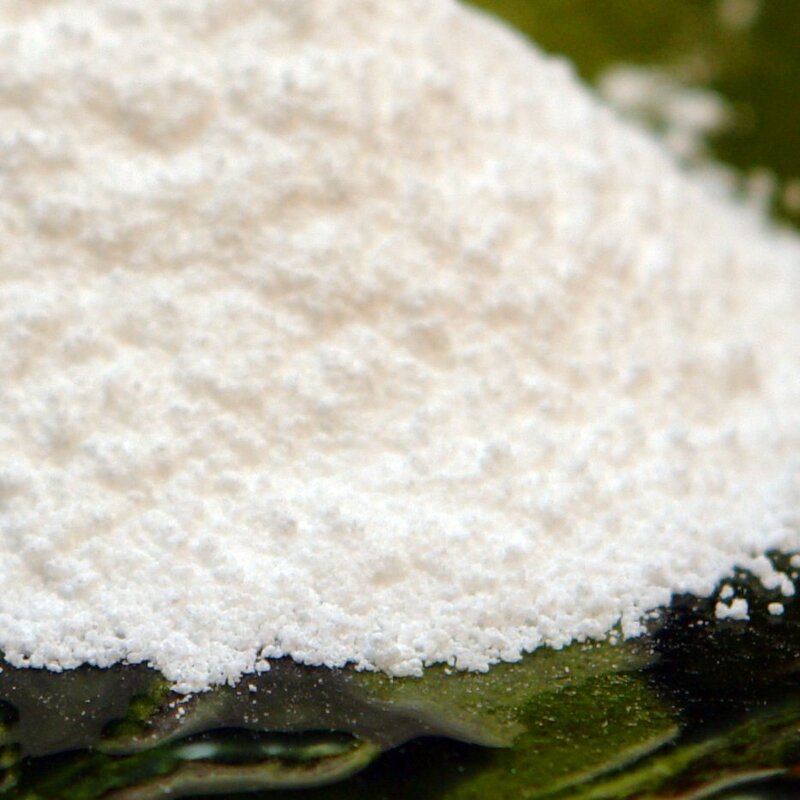 Not to be confused with fine powdered or confectioner's sugar. 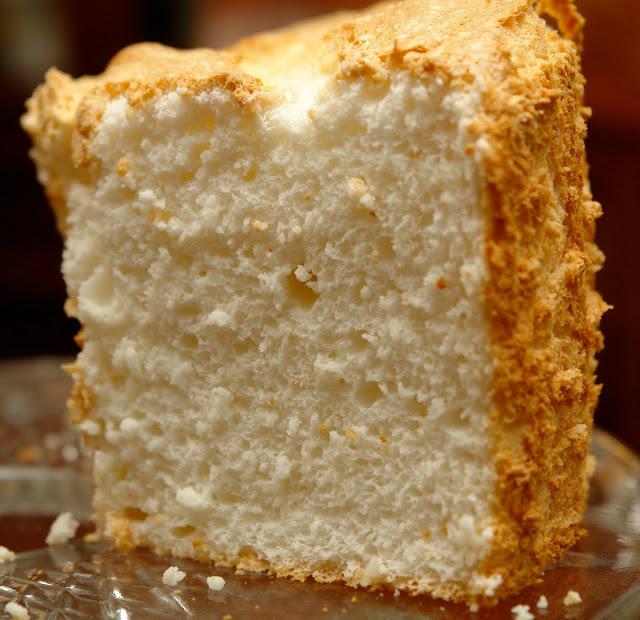 Superfine is essential to making the light, airy texture of an angel food cake. 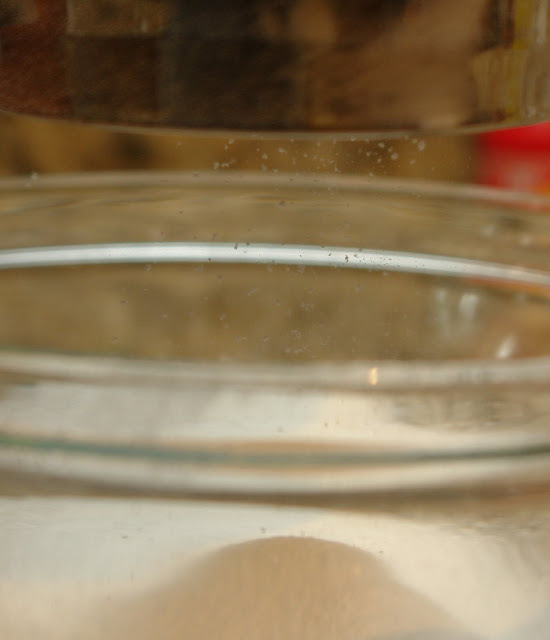 It's also used by bartenders for fast dissolution in liquids. 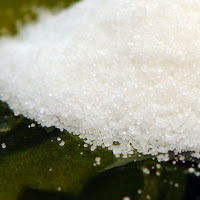 I searched high and low for this sugar on Sunday afternoon—the day I was to deliver the cake to my mom for birthday celebrating. Ugh! I could not find it. Any. Where. I would appreciate a cookbook telling me when an ingredient might just be a rare item, not readily available to those of us NOT living in NEW YORK CITY! *deep breath* I'm still a little hot under the collar. 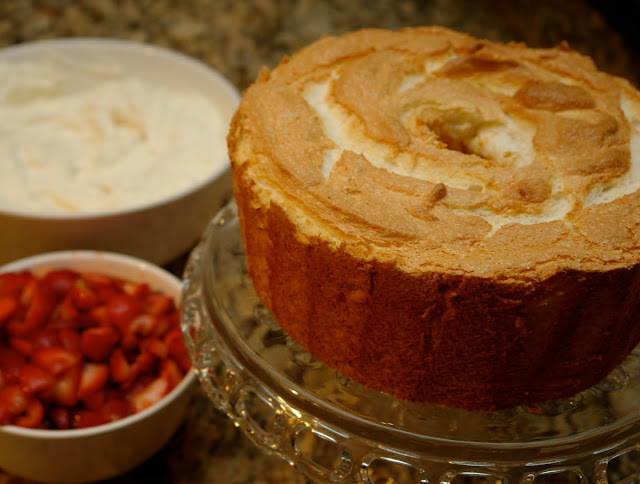 So what's a girl to do when she can't find superfine sugar and she's supposed to have a much anticipated angel food cake at her mom's house in under two hours? I could just use that Betty Crocker mix...but I wasn't ready to throw in the towel. 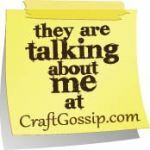 So, I set out to make it myself. It's actually pretty simple you just blend granulated sugar in a food processor until powdery. 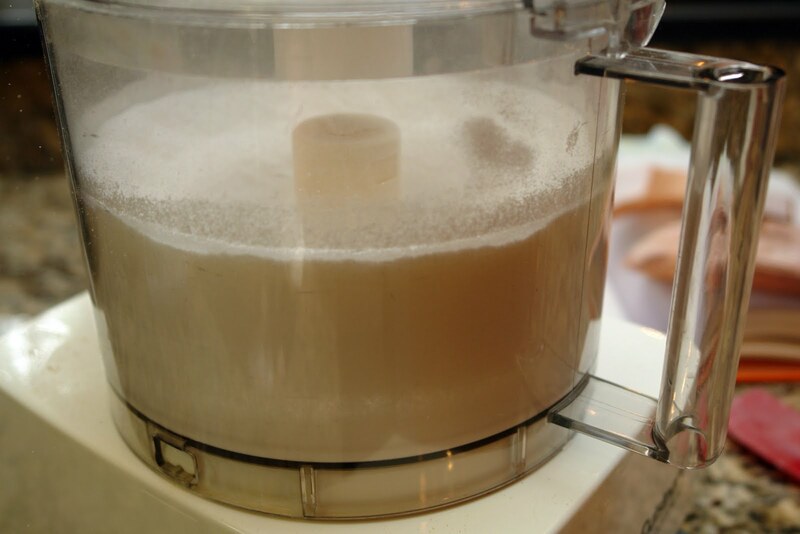 Plain sugar goes into the food processor. Process for several minutes. Pulsing and scraping the sides often. 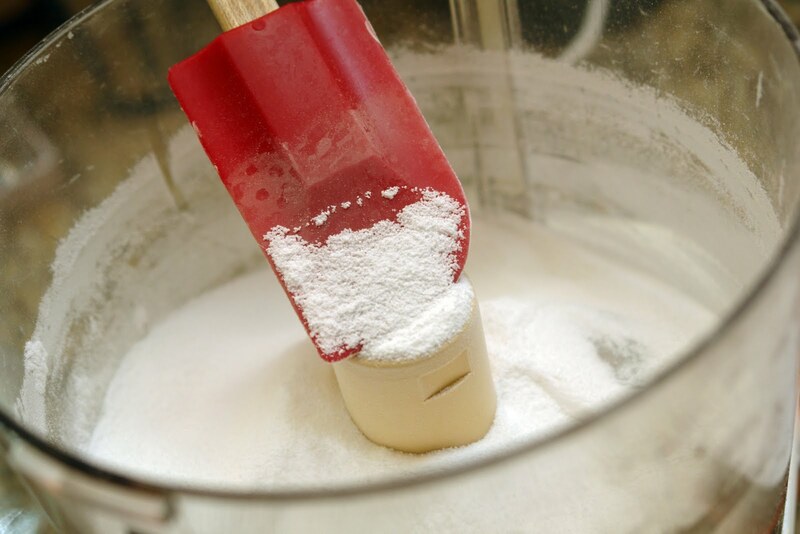 Until you have a powdery, granulated sugar. 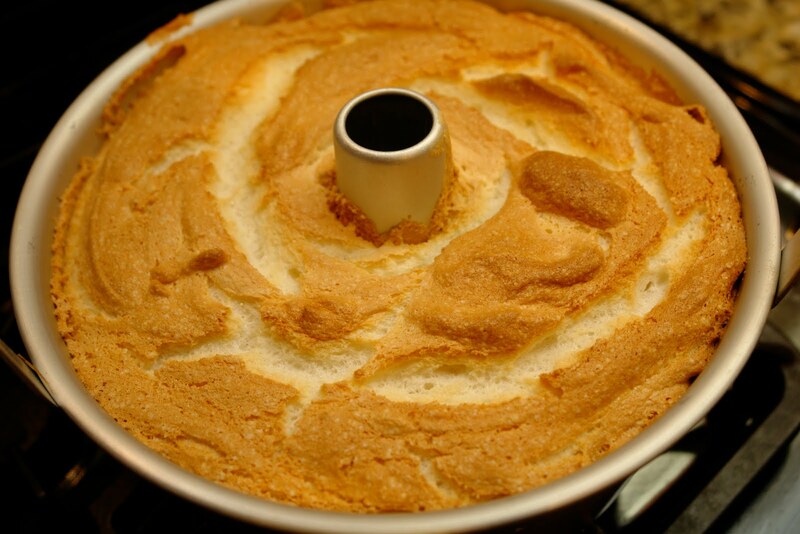 Next thing to note about this recipe is all the sifting. Don't skimp on this. 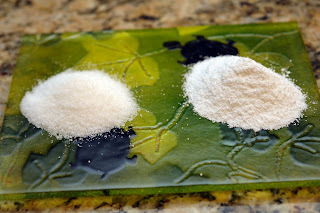 Sift the flour and sugar together four separate times. 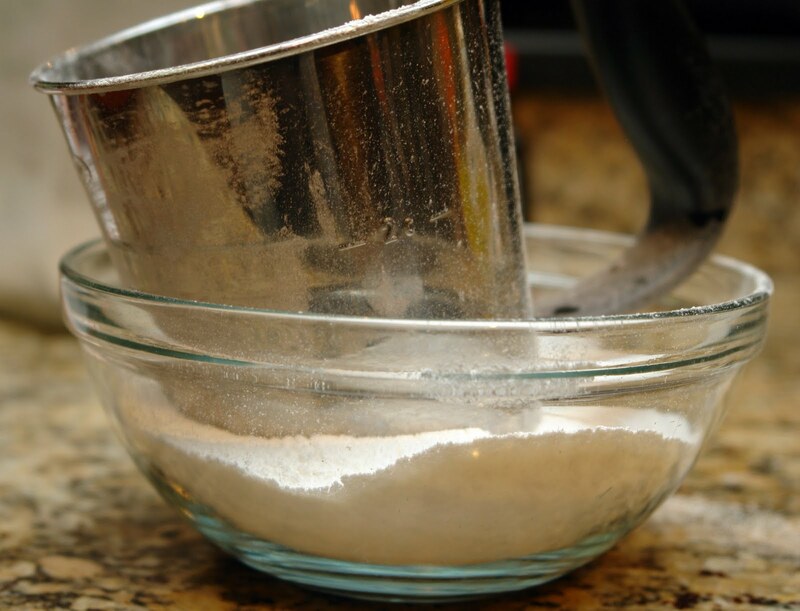 Make sure you only sift half the sugar with the flour. Don't make my almost fatal mistake and sift all the sugar with the flour. 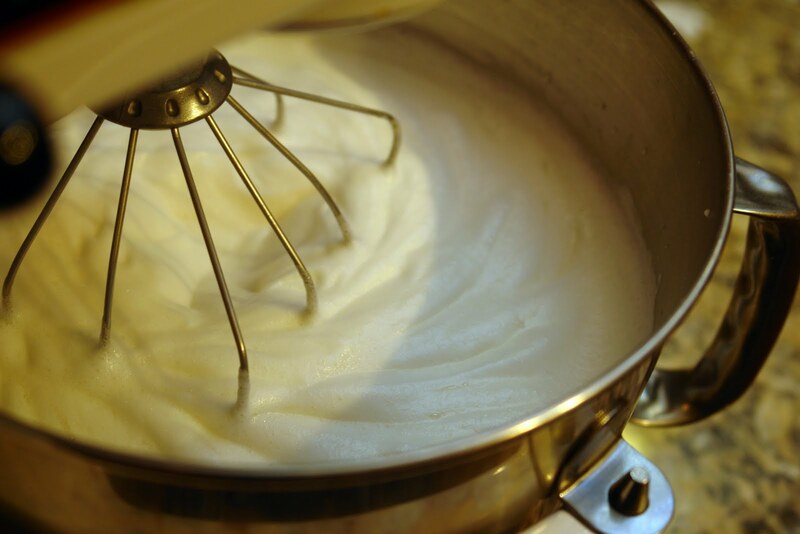 The second half of the sugar has to be whipped into the egg whites. 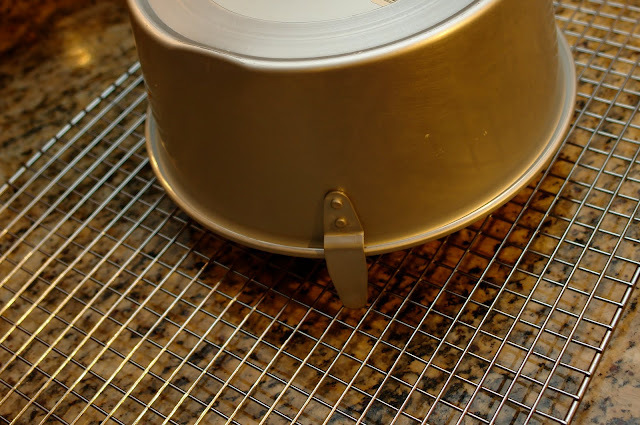 I love my OXO sifter, just a simple back and forth hand motion. Sift. Sift. Sift. Sift. Seriously, four times. Martha's recipe calls for 1 3/4 cups of egg whites, about 13 eggs at room temperature. Turns out 13 large egg whites did give me just over the amount I needed. However, I should've put a few extra out to come to room temperature since I had two yolks break on me. 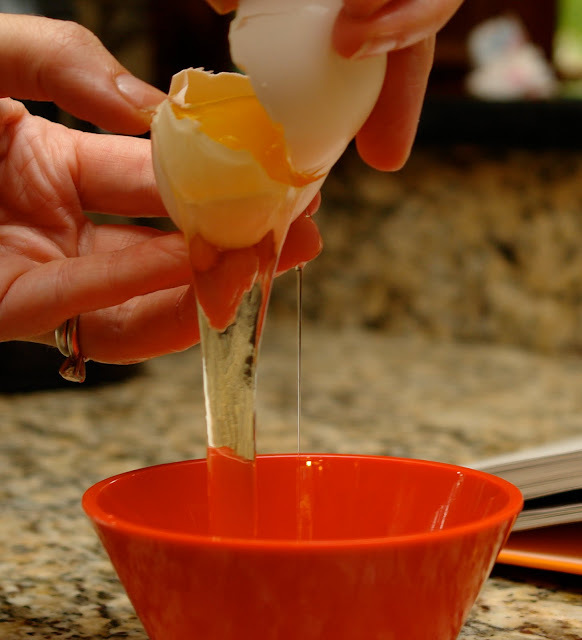 Anyone know why your eggs should be at room temperature? Anyone? Bueller? Well, I'll tell you. They separate better at room temp. I had to grab two cold ones out of the fridge and the separation on them was more difficult. 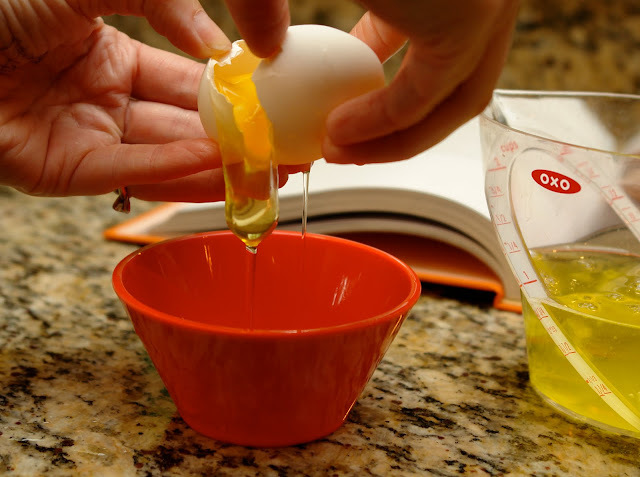 Also don't forget to separate your eggs one at a time over a dish then add the white to your measuring cup. This way a busted yolk doesn't ruin your whole batch of whites. 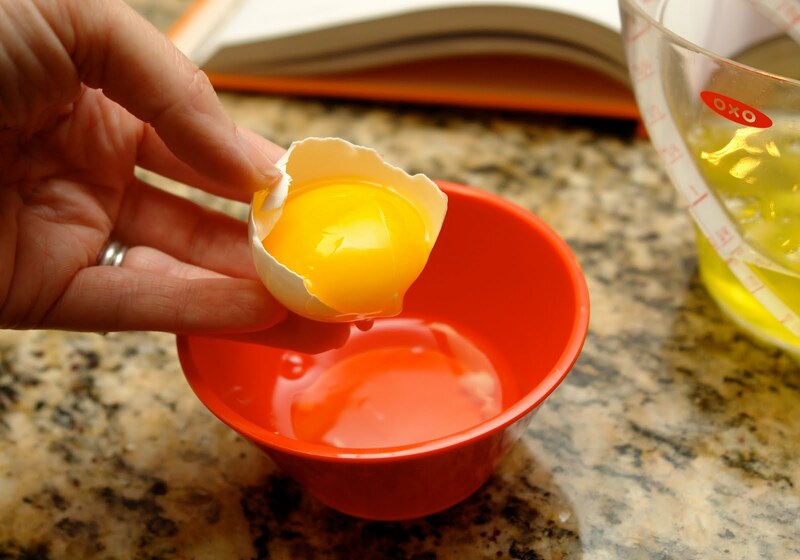 Crack each egg over a separate bowl to avoid shell or yolk ruining the entire batch. 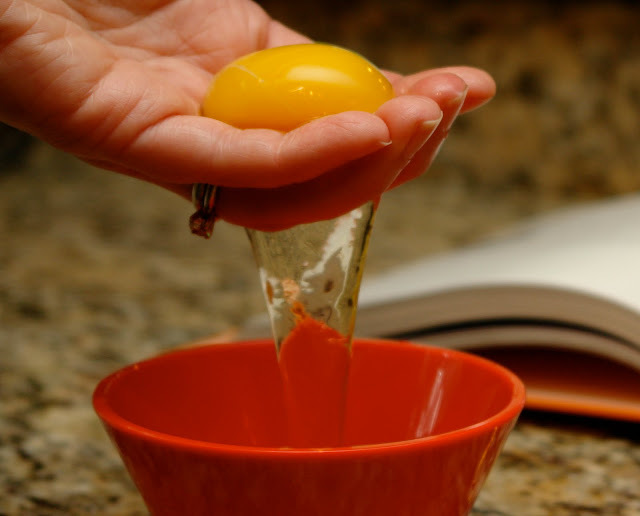 At room temp the egg white easily slips off the yolk. Allowing you to hold the yolk in one half of the shell as the white collects below. 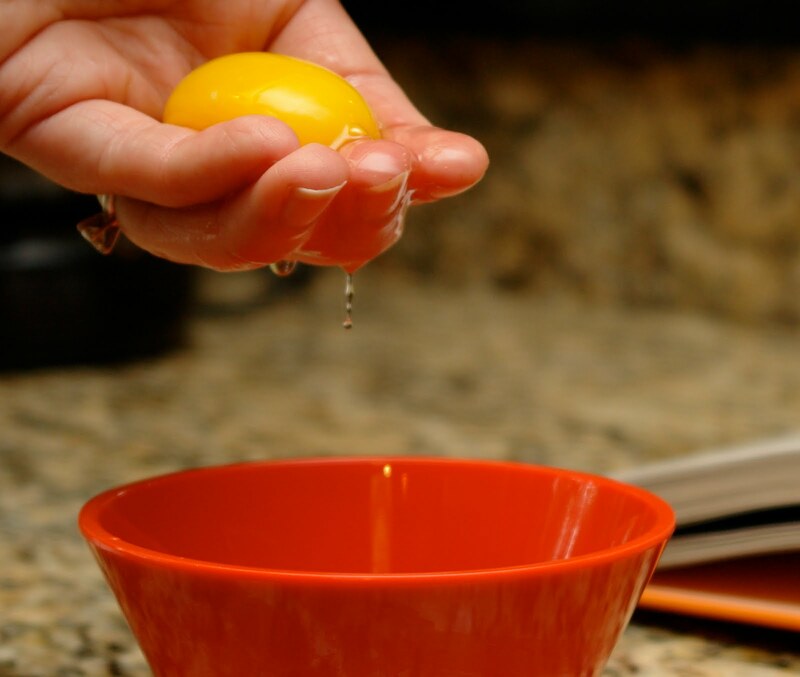 Slide the egg into your hand to be sure all white has been removed. This is the cold egg. The white clung thick and heavy to the yolk. Now we have to whip our whites. *bites nails* I had never done this before and I was more than a bit nervous. Start slow and easy and increase your speed as the whites come together. Start on low until foamy. And we have foam. 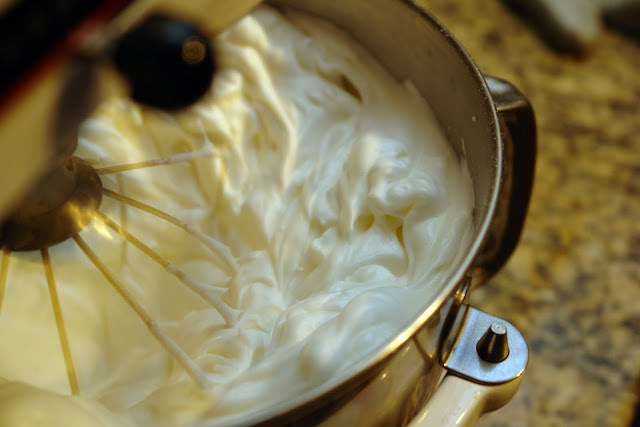 Stop here to add the salt, cream of tartar and vanilla. Start again, this time on medium speed until soft peaks. This is it. Now start to add the set aside sugar a spoonful at a time. 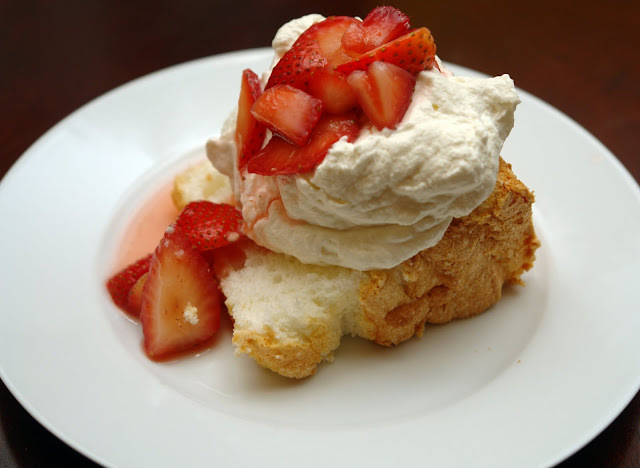 Increase speed to high as you add the sugar until you get something like this. Can't relax yet. Now I have to fold the flour/sugar mixture into the whipped whites gently by sifting the dry ingredients over the whites SIX separate times. Egg whites before folding in dry ingredients. After folding it has lost some volume but not to worry. 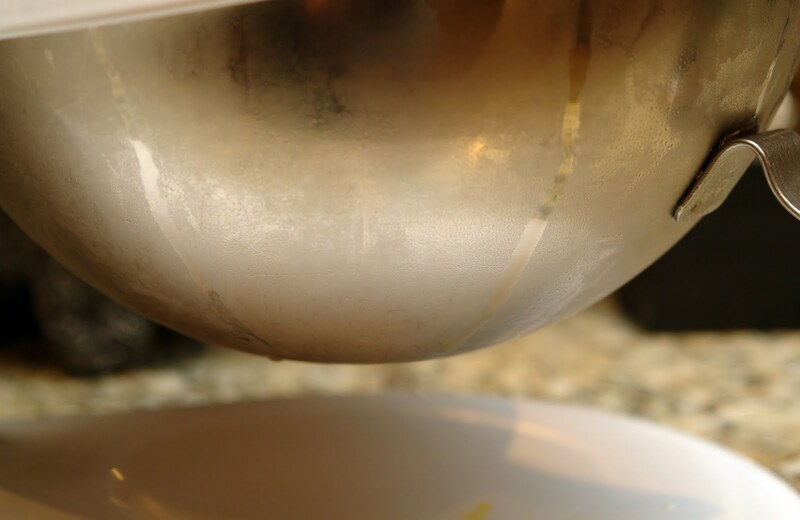 Pour in ungreased tube pan and run a knife through to break up large air pockets. Cake is done when golden and springs back when touched. No toothpick needed. Cool upside down. If your pan doesn't have feet, put it over a wine bottle neck. Should cool about an hour but I was running late and only gave it 45 minutes. Warm cake is good! 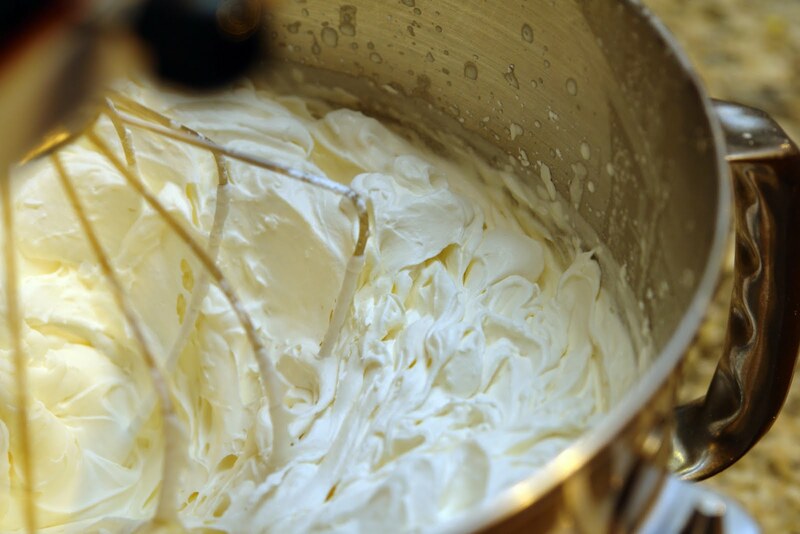 While the cake cooled I made vanilla whipped cream. 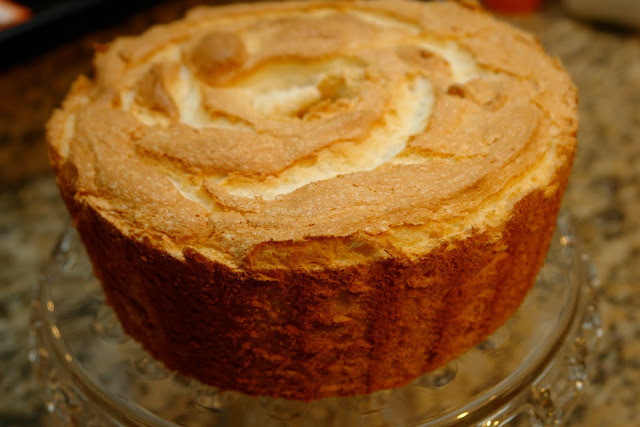 I'd made the recipe in Martha's Handbook a few years ago and made a notation that it was not sweet enough and too vanilla-y so I amended my quantities this time. Whip the cream in the bowl of an electric mixer with whisk attachment until soft peaks form. 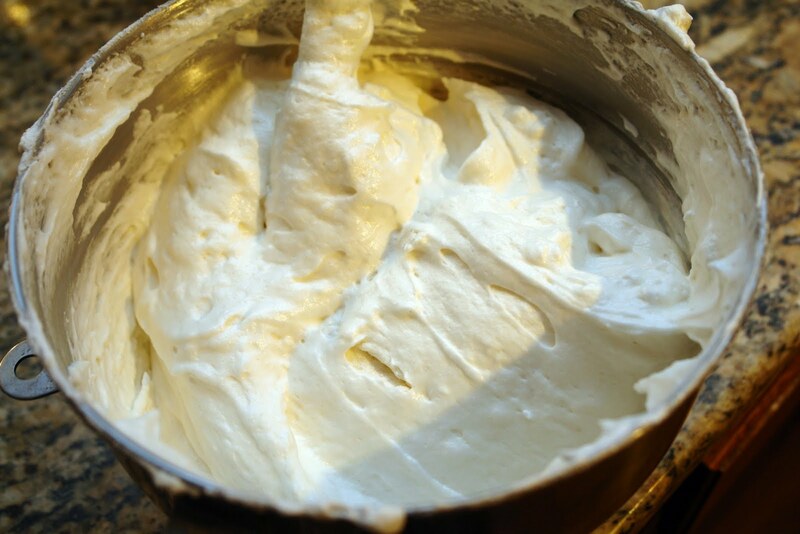 The cream can be refrigerated at this point for up to two hours. 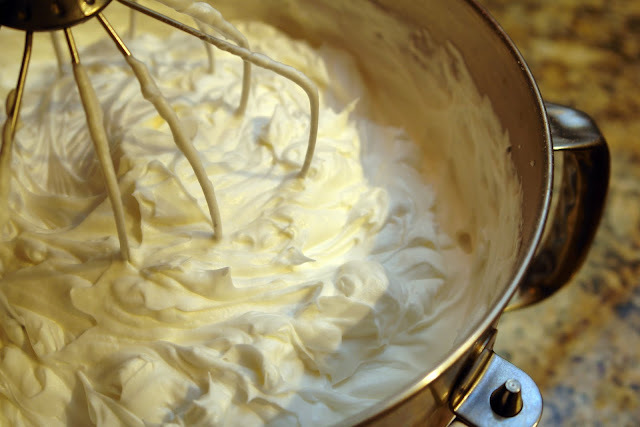 Before serving, finish whipping the cream to stiff peaks. Makes 6 cups. 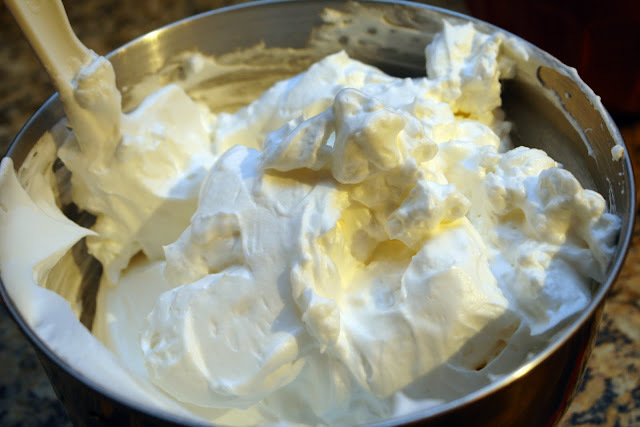 This whipped cream is so delicious. Fingers could not stay out of it. I'm a Reddiwip lover and this cream puts that stuff in a can to shame. Shame! But the instructions Martha gives can use some expanding. 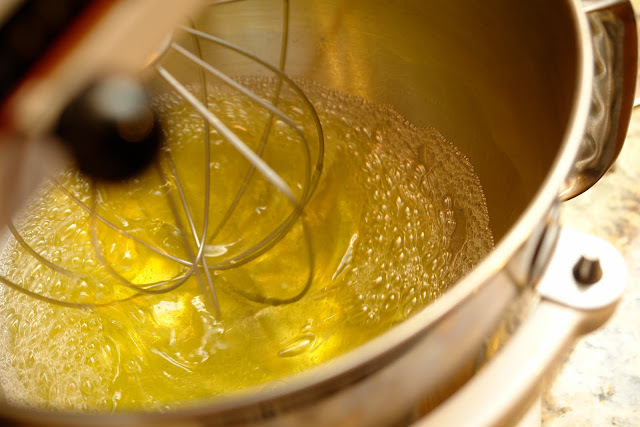 Chill your bowl and whisk in the freezer, a half hour or more. 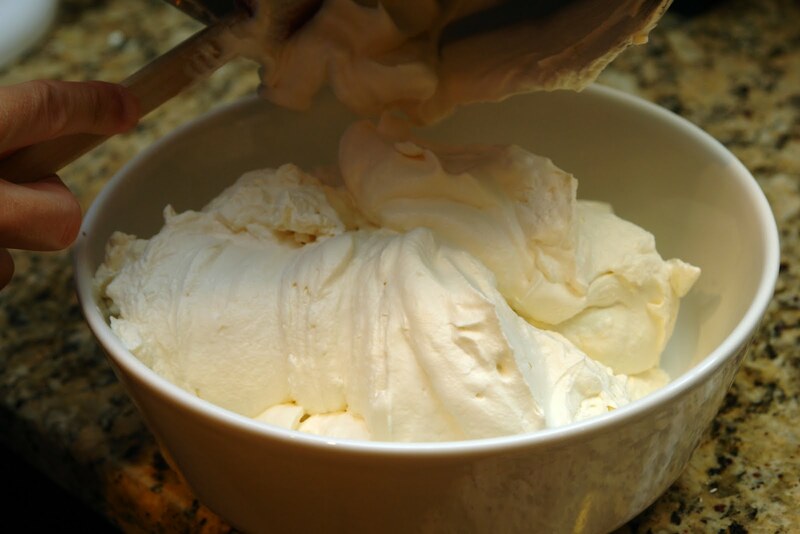 I also toss my cream in the freezer for a few minutes before I start as well. 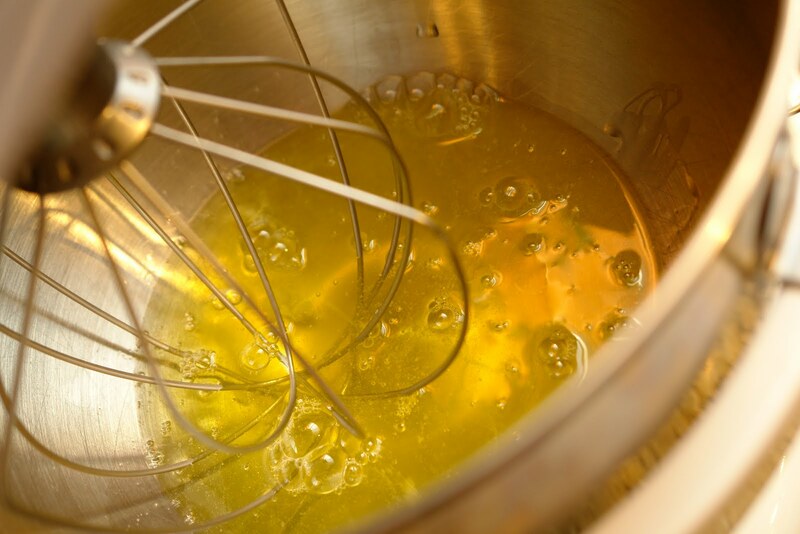 Start with cold ingredients and start on low speed. Starting to get thicker, gradually increase the speed and add in sugar. The bowl and cream are very cold. 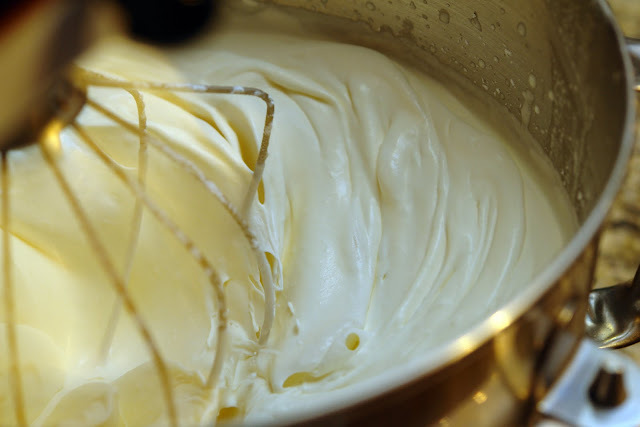 The essential trick to creamy cream. At high speed you have your whipped cream. I tried something new this year with my mom's berries. I wasn't sure if she'd like it but the gamble paid off. Berries, grand marnier and granulated sugar. Stir, cover and refrigerate a few hours. 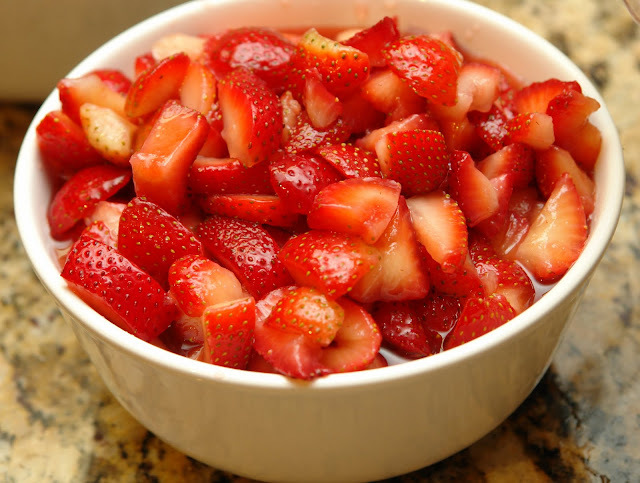 Adjust the amount to your tastes and the natural sweetness of your berries. My berries were pretty but not terribly sweet so I upped the sugar a bit. For this bowl it was 4 pints of berries, 6 T of Grand Marnier and about the same of sugar. I purposefully chopped some berries smaller than others and sliced a few to make the presentation more attractive and rustic. 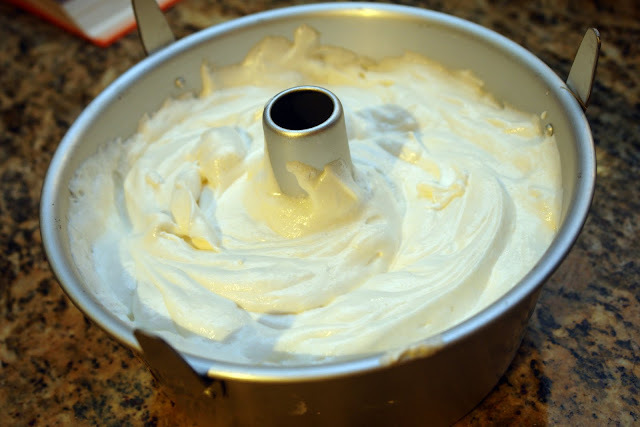 After the cake is cooled, gently run a knife around the edge of the pan and the center tube to release. Slice with a serrated knife and revel in it's airy texture.